Is Your Honda Affected by the Takata Airbag Inflator Recall? 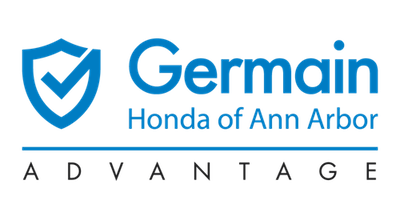 Have you been notified by American Honda Motor Company that your Honda is affected by the Takata Airbag Inflator Recall? If so, you probably have some questions regarding having the recall performed on your vehicle. Honda is committed to addressing the needs and concerns of its customers affected by this industry-wide issue. We have gathered answers to some common questions that many of our customers have had. Also, we’d like you to know what to expect when you schedule your vehicle to have this recall completed. If you determine that your vehicle is affected by this recall, we encourage you to take immediate action to have your vehicle repaired — at no cost to you. We want to reassure our customers that we have a system in place to address your needs and concerns. Please see our list of Honda models to which the airbag inflator recalls apply and within which model-year ranges. This should tell you if you even need to take the next step – which is to check the status of your specific vehicle. If your Honda falls within the ranges shown, the most effective way to determine whether your vehicle is subject to this or any other safety recall which has not yet been repaired is to enter your 17 character VIN (Vehicle Identification Number). You can find your VIN on your vehicle’s registration, insurance statement, proof-of-insurance card, financial services statement, or on your vehicle, at the base of the windshield – on the driver’s side. Do I have to take it to a Honda dealership? Yes. Only Honda dealerships are authorized to complete the Takata Airbag Inflator Recalls for your Honda vehicle. How long before I can get my vehicle scheduled to have the work completed? Typically, we can schedule a same-day or next-day appointment to have the work completed. Some vehicles only require a driver’s side replacement. In that case, the service will take roughly an hour and a half. Some vehicles will require both a driver and passenger airbag inflator replacement, which will take about 3 hours. Can I schedule my appointment on Saturday? Is it possible to reserve a loaner vehicle or get a shuttle back home or to work while my vehicle is in for service? Yes, although appointments with loaner vehicles may lengthen the amount of time it takes for an available appointment. Our shuttle runs at 8:15am and 9:15am. No. There are no costs to you to have the recall work completed. Can I wait at the dealership for the work to be completed, and how long should I expect to be at the dealership? You are welcome to wait, although you should expect that the recall may take as long as 3 hours to complete (for both a driver and passenger side replacement). Should I just wait to have the recall performed with my next service visit? Because this is a safety-related concern, we recommend having the recall completed as soon as possible. How do I schedule my Honda to have the recall completed? It’s easy! Either schedule your service online, use our website chat to schedule an appointment, or call our dealership directly.